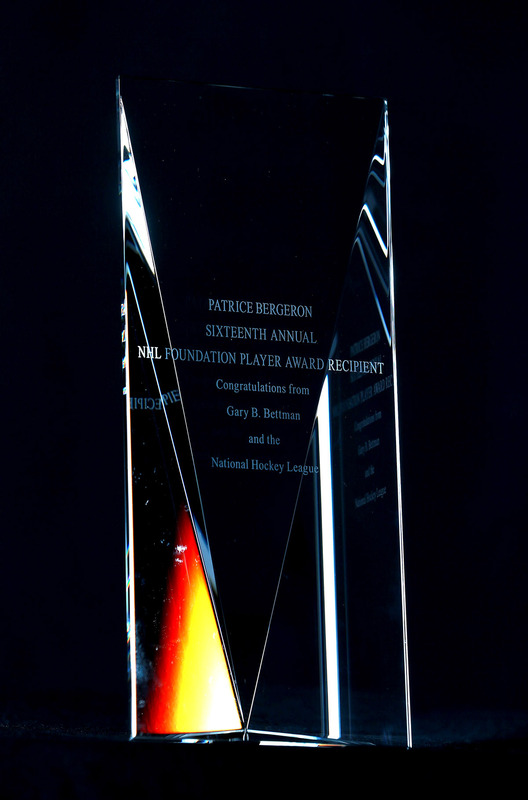 An annual award presented to &ldquo;an NHL player who applies the core values of hockey &ndash; commitment, perseverance and teamwork &ndash; to enrich the lives of people in his community.&rdquo; In recognition of this dedication, the NHL Foundation annually awards $25,000 to a current player&rsquo;s charity. History: NHL players have a long-standing tradition of supporting charities and other important causes in their communities. NHL member clubs are constant in their quest to help local schools, hospitals and charitable organizations. Clubs submit nominations for the NHL Foundation Player Award and the finalists are selected by a judging panel. This award was first presented in 1998. Calgary Flames defenseman Mark Giordano is the recipient of the 2015-16 NHL Foundation Player Award. Giordano has selected the Calgary Flames Foundation, which will lend its support to the Calgary School Board and the Team Giordano initiative, as the beneficiary for the financial award. Giordano&rsquo;s leadership and dedication on the ice only are paralleled by his various initiatives away from the rink. For the past two seasons, Giordano and his wife have partnered with the Calgary Board of Education to create a unique community program called Team Giordano - which provides resources to four low-income Calgary schools. Funding from Team Giordano supports the purchase of computers, journals and other school supplies as well as floor hockey equipment. Students in the program are encouraged to achieve their goals using the &ldquo;5 G&rsquo;s&rdquo; Giordano believes are the keys to success. Since its inception, Team Giordano has donated $200,000 to its four schools, impacting the lives of 1,400 students. NHL players have a long-standing tradition of supporting charities and other important causes in their communities. NHL member clubs are constant in their quest to help local schools, hospitals and charitable organizations. Clubs submit nominations for the NHL Foundation Player Award and the finalists are selected by a judging panel. This award was first presented in 1998.